This book takes place in a small North Carolina town where descendants of some colonial witches still live and practice their craft. For obvious reasons, they are a secret group, but highly self-regulated. Typically, the abilities travel along family lines and crop up in childhood/adolescence, at which point, the witch/warlock is initiated into the Coven and introduced to their history and practice. Stevie is a newly-divorced mom of a young Autistic boy, still struggling to adjust to life without her husband and trying to make an emotional connection with her son, who she’s trying everything to help. She’s about to learn about her unique heritage, in a way that no one would want to. There’s a dark witch who has just returned to town to settle some scores. Her actions will kick off many changes to the coven, as well as the populace of the town. Her return and the advent of Stevie’s ability will prove a pivotal moment in the history of this group. There’s a rich — and frequently delightful — cast of supporting characters here. Lessey writes them well and with care. I enjoyed them all, frequently grinning at the way a couple of them behave. I can’t testify to the accuracy of the depiction of autism — but it felt real, it felt like the fruit of good research (or first-hand knowledge), sympathetic without pandering; realistic, yet open to the possibilities of a Fantasy novel. Stevie’s relationship with Charlie, her son, was easily the best part of this book. The stakes were high, but it there was never a feeling of actual peril, of risk, of there being a chance that things could go really bad. Still, there was plenty of heart and enough likeable characters to keep the reader engaged. A quick read that kept the plot moving at a decent pace. 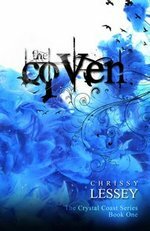 The Coven is the Urban Fantasy equivalent of a cozy — low risk, decent reward. I’m willing to bet Lessey grows and develops as a writer over the trilogy, and is probably worth keeping an eye on. Disclaimer: I received this book from the author in exchange for honest opinion, which I appreciate.